The E3 Endurance TEAM GREEN/CUSTOM AIR is a licensed and insured USA Cycling Team made up licensed, category cyclists (men, women and junior; Road, CX and GRAVEL) in the Triad region ofNorth Carolina. 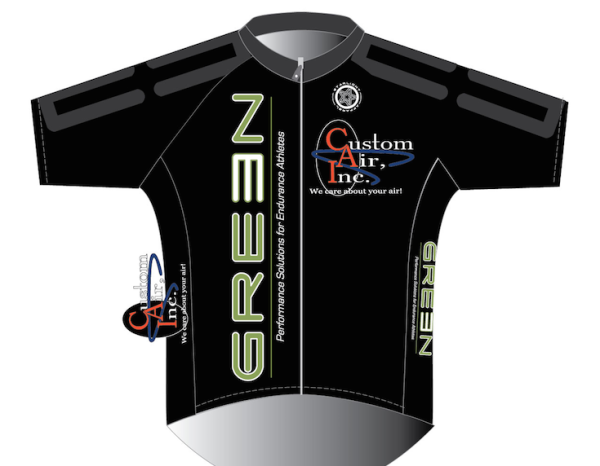 Team Green/Custom Air has many years of cycling experience and is looking to help newcomers get into the sport as well. We require all Team Green/Custom Air members to be of good character and good standing with USA Cycling and within the cycling community. Team Members: The 2019 team will be comprised of road, CX, Gravel, male and female (masters) and male and female (junior) USA Cycling licensed riders. Mission: Have a strong racing presence in the community while developing junior riders to enjoy the sport of cycling, learn proper sportsmanship, and learn the fundamentals of performance. The 2019 Team Green/Custom Air is an official USA Cycling Team made up of road cyclists, gravel cyclists and junior cyclists! Please join us in making the strongest team in the Carolinas in strength, speed, and character.